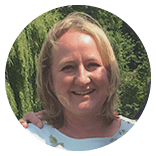 Laura has hands-on experience of every aspect of running a business, being a founding Director of Doris Jones Limited, a successful domiciliary home care company now in its fifth year of trading. Laura Heraty is a member of the Institute of Chartered Accountants in England and Wales. She studied Mathematics at Bristol University, and joined Price Waterhouse in 1992. After qualifying as a Chartered Accountant, she moved to Schroders PLC, working in a variety of business roles including Assistant Director in the Group Strategy Unit. She spent 4 years working at the International Save the Children Alliance running an innovative global investment portfolio.